My youngest boy, Tyler, who is 5 is loving flying toys at the minute and Scooby-Doo is a firm favourite in this house. So the Scooby-Doo Phantom Flyer toy went down a storm with him. But really, who doesn’t love a bit of Scooby-Doo? I loved it as a child and it’s still one of those kids cartoons that I don’t mind watching. Let’s see who the ghost is this week? Do you? 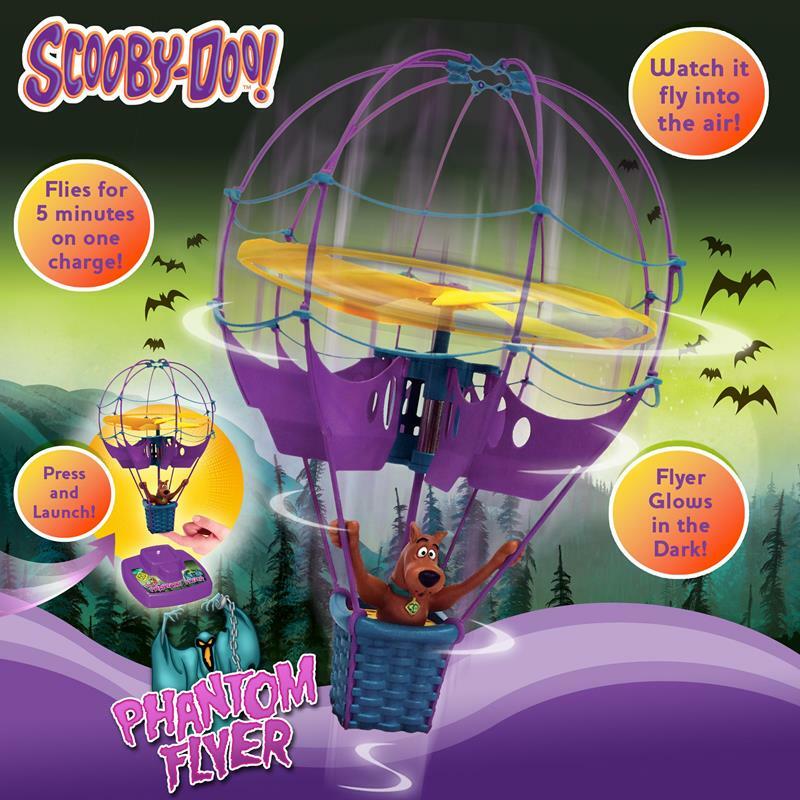 The Scooby-Doo Phantom Flyer by Flair, spins up to 2 meters into the air and glows in the dark. 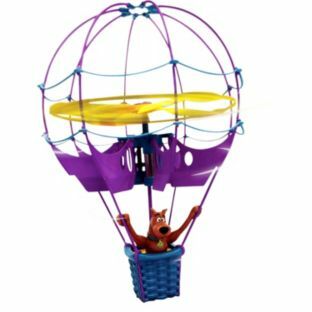 Scooby-Doo hangs on tight to the basket, for fear of falling, of the hot air balloon as it goes up into the air and spins, then comes back down to the ground. We mainly use it on auto which is great fun watching it fly around. Or you can guide it by your hand under the balloon, this was a little difficult for Tyler. He could move it about fine, but it was a little tricky getting the hang of it and crashed it a few times. The charger charges the hot air balloon and lasts for about 4 minutes, which doesn’t sound like a lot but it’s enough, doesn’t take long to charge again. I think the Scooby-Doo Phantom Flyer is perfect for any Scooby-Doo fan and is a lot of fun. It’s reasonably priced at around £20. It does require 4 AA batteries which is about standard these days. It’s not ran out yet, so they do seem to last. Do make sure you keep your fingers and little fingers out, but since it’s flying it’s not too bad. For any Scooby-Doo fan, this would make a great gift. Lots of fun and it looks great too.